Nestled between the cities of Vancouver, Victoria and Seattle, in the mouth of Puget Sound, is the small-town American oasis known as the San Juan Islands. 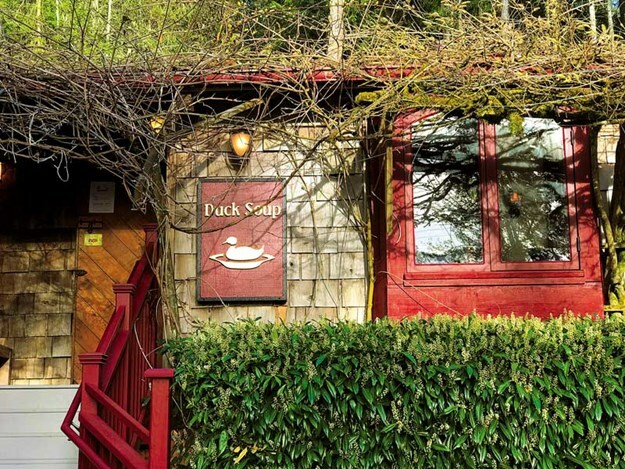 Think orca whales, wild foxes, swathes of Oregon white oak forest and sweeping mountain vistas – all that and a delightfully laid-back vibe. Four islands make up the most populous (and tourist-friendly) of the 172 named islands located within the San Juan County archipelago: San Juan, Lopez, Shaw, and Orcas Islands. 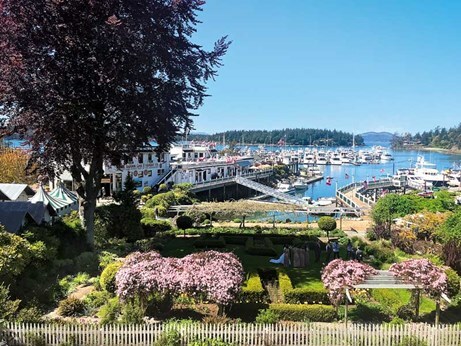 At 88 sq km and with a permanent population of around 7000 people, San Juan Island is an ideal destination for motorhomers. Go in the shoulder season between May and late June (before US schools break for summer) to have the roads, the campgrounds and pretty much the island to yourself. Connected by an efficient and regular state ferry service, tourists can easily get to and drive around all four islands or just pick one or two to focus on. 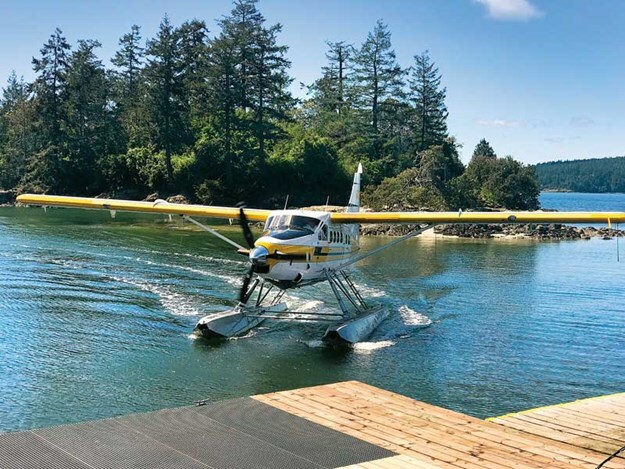 I arrived in the San Juans by car ferry with two travel companions in brisk but sunny May weather to embark on a driving tour that started at San Juan Island’s Friday Harbor and ended (for me, at least) aboard a Seattle-bound seaplane in Orcas Island. Start, like we did, at the central village of Friday Harbor, the island’s main ferry port, to provision-up and get your bearings. 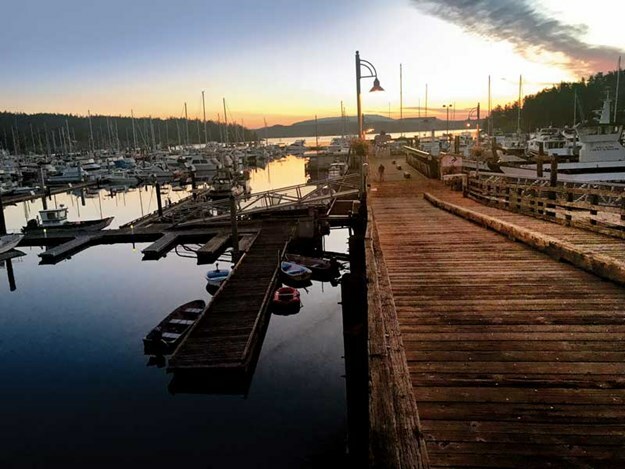 Friday Harbor is compact and relatively flat with plenty to see, do and eat. Park up for the night at San Juan County Fairground, the island’s main RV park, and enjoy the day to explore.Our first stop, the San Juan Brewing Co, is the village’s own brew-pub about 10 minutes’ walk from the fairgrounds on A Street. Opened in 2017, the brewery, owned by locals Sean and Tim Aylward and their stepfather Verne Howard, specialises in English ales, German lagers and beer with a modest alcohol content. 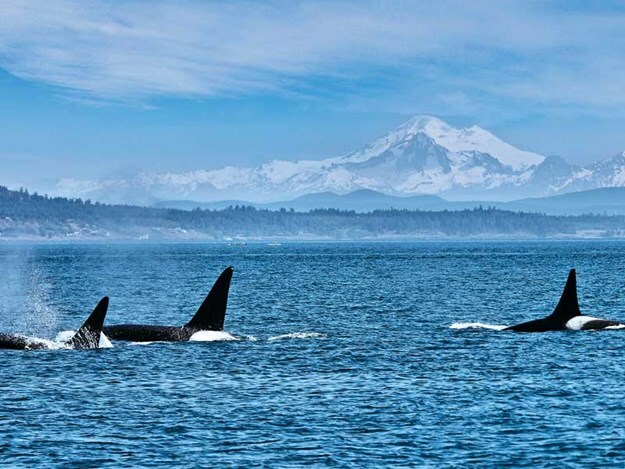 Whale watching is popular in the San Juans. 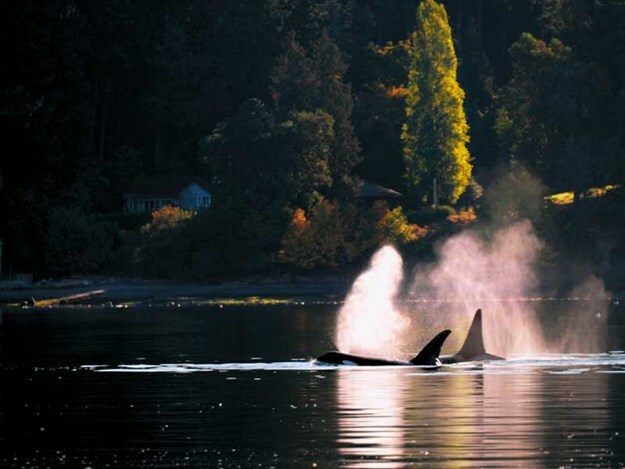 From various sighting spots on land and in the water, there’s every chance you’ll see a pod of orca whales. To get primed, visit the Whale Museum on 1st Street. It’s a 10-minute walk from A Street, costs $US9 to enter and prides itself on promoting responsible whale watching. 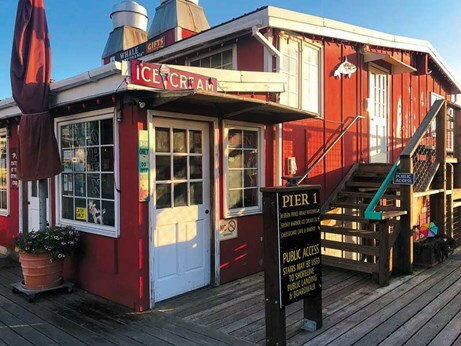 From the museum, it’s an easy stroll along the waterfront for coffee or ice-cream or to sit and watch the ferries come and go. I stopped by Fairweather Park near the marina to view a stunning red cedar house post sculpture called Interaction by native artist Susan Point. Made in 2000 and unveiled in 2004, the sculpture is a fitting public acknowledgement of the island’s Coast Salish tribal heritage. Distillery spirits and foraged ingredients. My pick: the Nettle Caipirinha (made from nettle cachaça, rosemary simple, lime juice, mint, basil and nettle bitters). But the restaurant’s complete commitment to locally sourced, farm-to-table dining was the clincher. The market fish, served with Israeli couscous, kale and nettle pesto, paired with the Orcas Project Willamette Valley pinot gris, was a top pick from an outstanding seasonal menu. 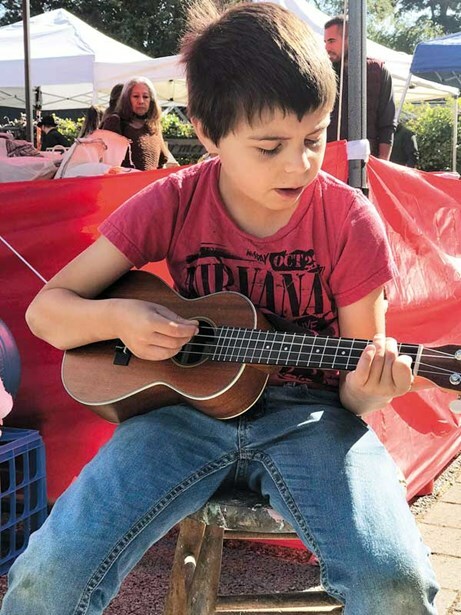 If you’re visiting San Juan Island on Saturday, the farmers’ market on Nichols Street is a must for breakfast. Open from 9.30am until 1pm, it’s another way to sample the island’s fresh produce and chat to local growers. 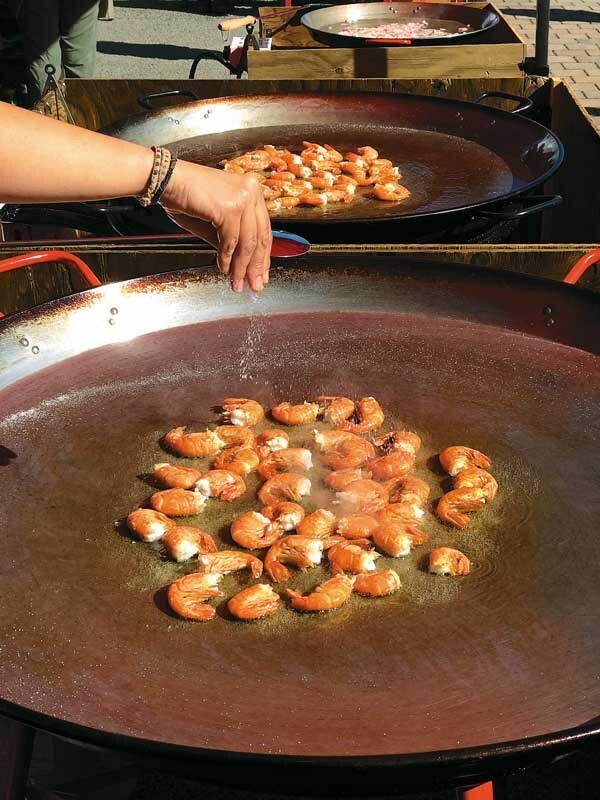 Grab some sizzling prawns straight off the hot plate or a fresh fruit pastry for the road. 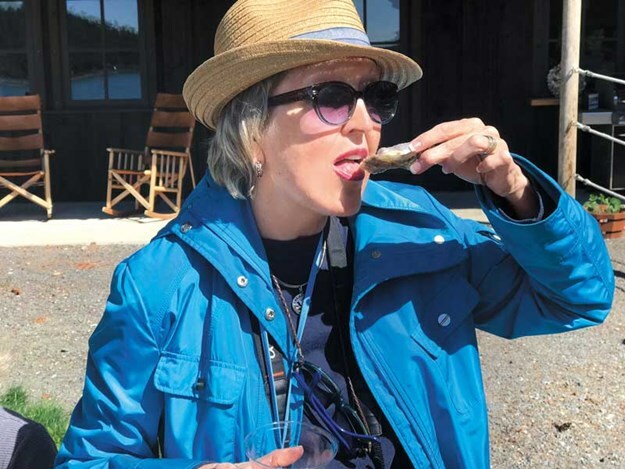 And don’t leave Friday Harbour without sampling the fresh oysters at Wescott Bay Shellfish. Delicious. Owners Erik and Andrea Anderson also offer tours of their working farm. The San Juans is a top destination for lovers of the outdoors. From kayaking, sailing and cycling to wildlife watching, fishing and hiking, all four of the largest islands have plenty to offer. On San Juan Island, we drove west from Friday Harbor to Lime Kiln Point State Park. 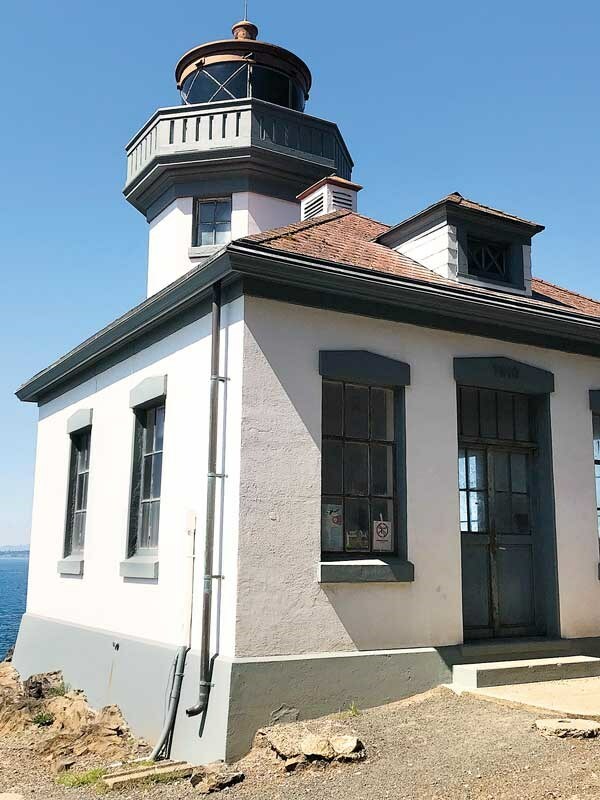 The 16.5-hectare park is a world-class land base for whale watching, with many different species of whales (orca and humpback to name a few) passing by the park’s historic lighthouse and clifftop lookout every year. English Camp is another park worth a visit. Located at the northern end of the island, its remnant buildings, formal garden and cemetery help tell the story of the island’s fascinating colonial history. Spend a few hours too at historic American Camp, at the southern end of the island on the shoreline of Griffin Bay; the drive there is breathtaking. 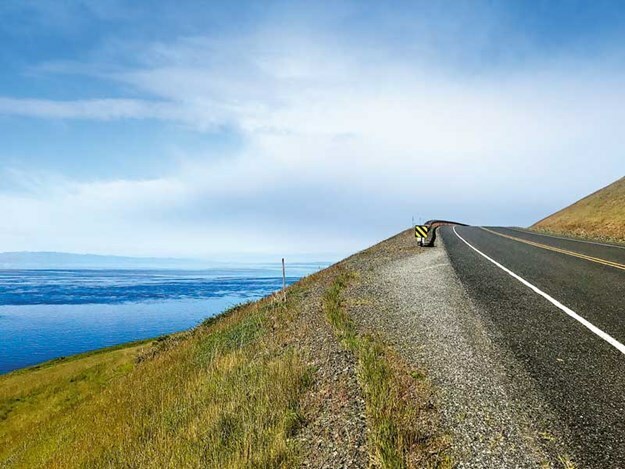 There are ocean and mountain views and the road takes you past grassy prairie land – so expect to see the island’s red fox. 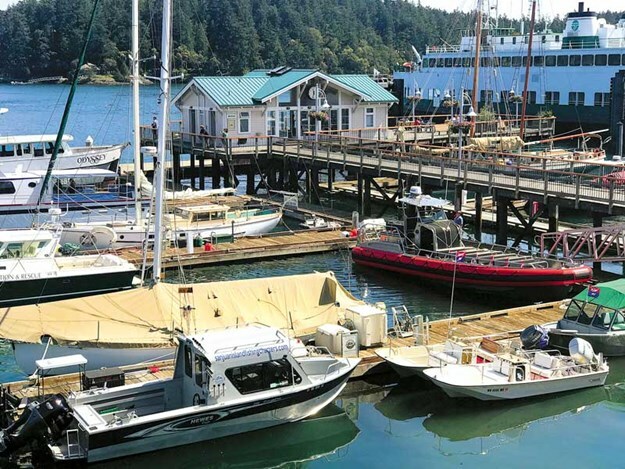 Roche Harbor is an historic seaside village at the northern end of San Juan Island facing Haro Strait and the Canada-US border. I love historic buildings, so our tour of Hotel de Haro, built in 1886 during the island’s lime mining industry, was a highlight on our stop-off.Leaving my two travel companions behind and joining another crew, I headed for Orcas Island by car ferry. 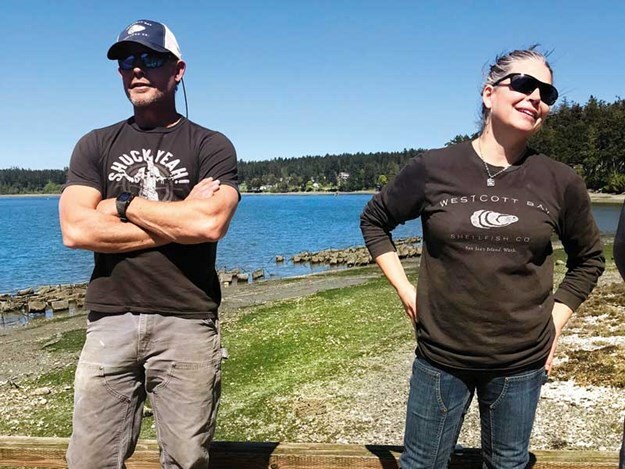 Once the summer shellfishing grounds of the Lummi Indians, then later a busy farming, fishing and logging region, Orcas – the largest of the San Juan Islands – is now very much a holiday destination. 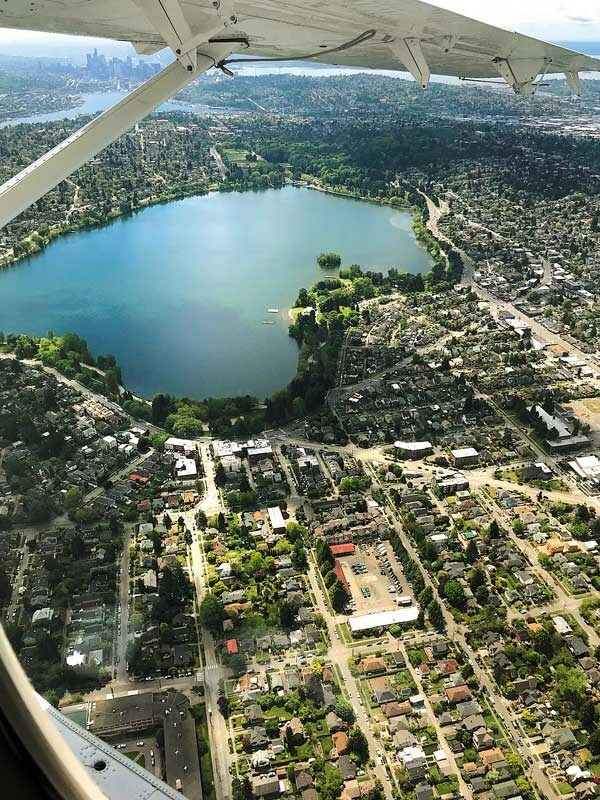 The island’s Moran State Park offers camping and RV sites, five freshwater lakes for swimming and sailing, and some 50km of hiking, biking and horse riding tracks. It’s also a prime location for whale watching. 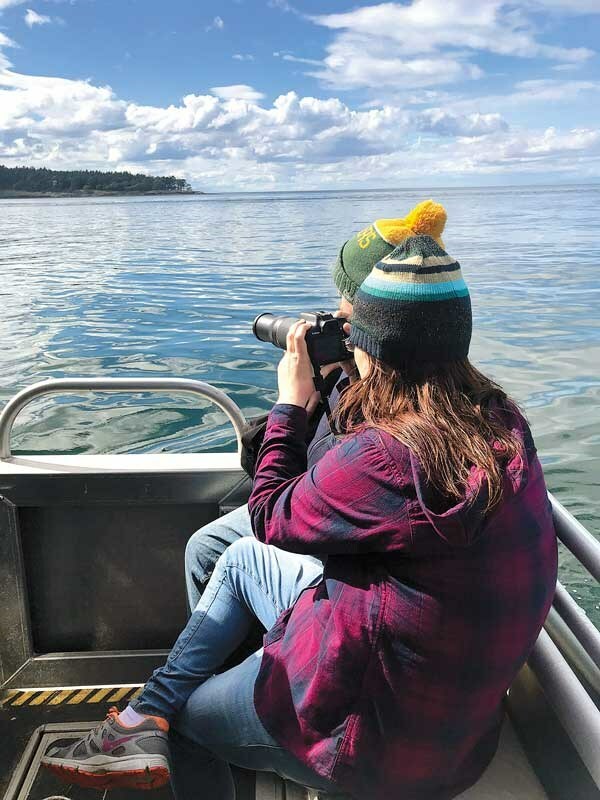 I took a three-hour tour with Outer Island Excursions and saw a humpback and four orcas from a pod known as the Transients. Our guide explained that Transients move north to south along the coast from Southeast Alaska and British Columbia as far south as Southern California, making forays into the Salish Sea to feed. While our captain was quick to find wildlife, he also adhered to the regulations that require boaties to stay a metre away from orca and to keep the path of the whales clear at all times. Definitely take a camera with a zoom lens if you want a detailed memento. For dinner that night, we headed to the Mansion Restaurant, the fine dining eatery of the Rosario Resort & Spa.Overlooking Cascade Bay, the restaurant is located on the original veranda of the Moran Mansion, a private home which was built in 1906 by shipbuilder and former Seattle mayor Robert Moran. Served by chef Raymond Southern, we were treated to dishes such as albacore tuna ceviche and fusilli con coniglio e pisello (homemade pasta, rabbit belly and pea shoots topped with egg), paired with wine from the Pacific Northwest. Dessert was a chunk of orange ricotta cheesecake and blueberry sauce, paired with the Yakima Valley 2013 Brian Carter Cellars Opulento. If you fancy a fine dining break from RV-style sausies, then put The Mansion on your must-do list. The author would like to thank the San Juan Islands Visitors Bureau for hosting her. Here are eight great wineries and vineyards that are lesser-known, but definitely worth a visit!